This past weekend I received a free pass from awesome follow Beth Hartzel, to go to an event at Oberlin called Swing Out Under Stars. This visit was particularly nostalgic for me because my first out of town swing dance experience was at the Oberlin Jazz Dance Festival several years ago where I first saw awesome dancers like Nina Gilkenson and Andy Reid. In result I was motivated to take my dancing more seriously and start traveling to events on a regular basis. Oberlin has been doing this swing dance thing for awhile. One thing I am going to give Oberlin kudos for is as a male who was following in some of the classes this weekend I have never felt more comfortable being a follow then anywhere else in the world. Normally when I take classes as a follow, I usually get a vibe from people in the rotation of “Oh… its a guy following, there is something weird about him.” and odd looks. However everyone was friendly and encouraging to me. I even got asked to dance as a follow a few times during the dance to the Boilermaker Jazz Band on Saturday! 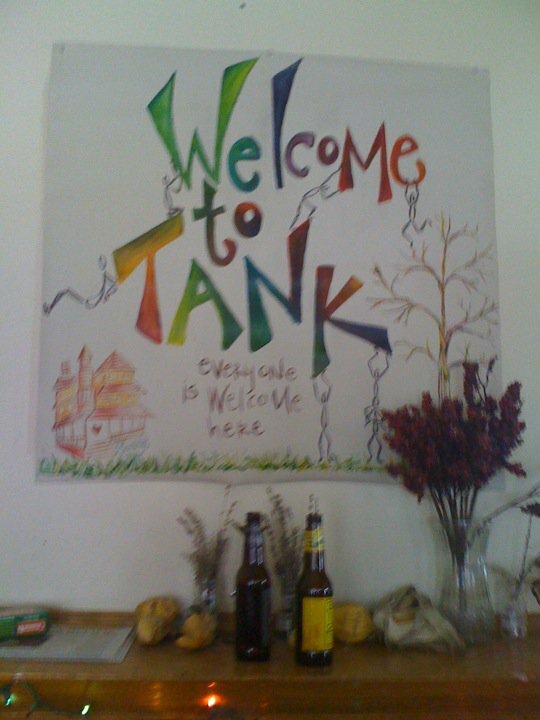 The Tank Co-Op. Amazingly friendly people there. It is hard to explain what it is like to stay in an Oberlin Co-Op but my best description is imagine several people living in the same house with each of them having equal responsibility of maintaining the home. While I was there I was invited to have meals with the house which were all hand-cooked by the students. 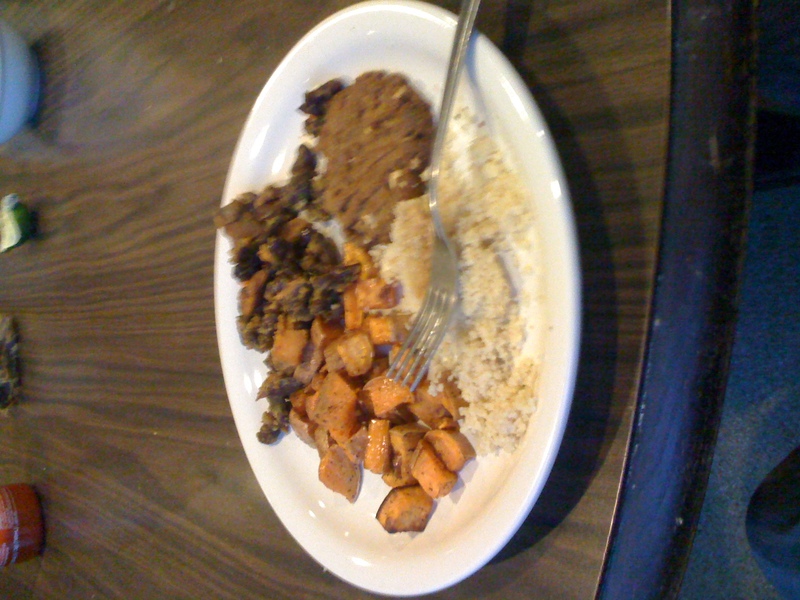 The food was vegetarian, different then what I was used to, and most importantly delicious. 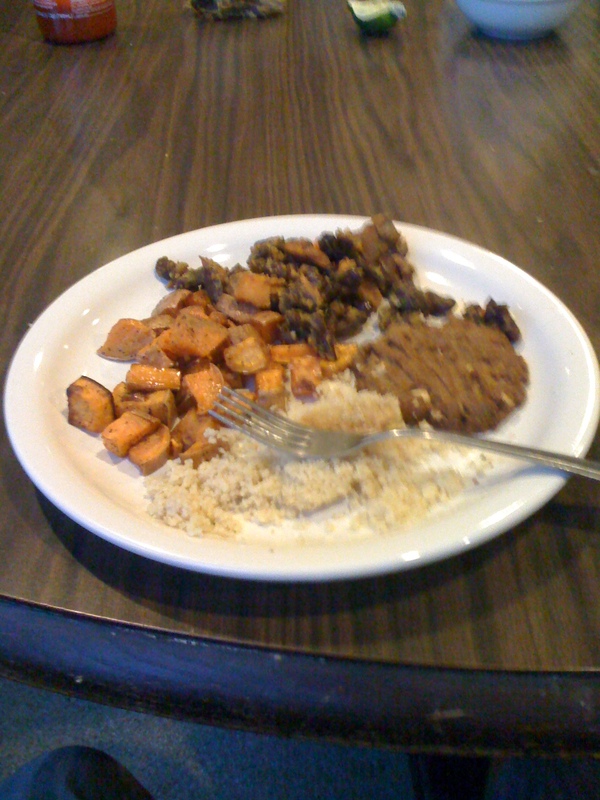 Tank food, vegetarian and declicious. In addition I got to meet other people who were also visiting the house like two French guys who are doing a country tour of the United States and was visiting Oberlin as one of their stops. For the Saturday night dance, they had the Boilermaker Jazz Band who played a fun set and featured a vocalist I hadn’t seen personally before by the name of Erin Kufel. Even though it was a smaller crowd, I thought the Boilermaker’s did a great job of bringing energy to the room and playing some good tunes. The instructors were Falty (Michael Faltesek) and Carla Heiney who were a good fit for Oberlin, especially since Falty as apparently taught there several times in the past. What helped them out was the class sizes were ridiculously small. I’m talking like 12-14 couples for the last two classes of the day on Saturday & Sunday, with such an intimate environment I felt everyone got more out of the workshop then most workshops I have attended. In result the instructors were able to give individual feedback a lot of the times. Also Carla was in the rotation in some of the classes as well, which many of the other leads at the event agreed to me was a great help. Something I would like to note is both Carla and Falty (who described himself in the lesson as a post-modern feminist) put a decent effort at remaining gender neutral when addressing follows and leads. For the male follows and the female leads in the classes, it was much appreciated. This entry was posted on March 14, 2011 by Apache. It was filed under Dance, Lindy Hop, Personal .